Wrapped Agency has been taken on by William’s Den, a £3million indoor children’s play centre opening next spring in East Yorkshire. William’s Den has tasked the Leeds-based agency with targeting the family market via a PR and social media campaign that will run up to launch. The agency will also be overseeing the brand’s new website, SEO and advising on strategic brand design and implementation. 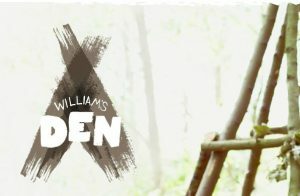 William’s Den includes a unique timber crafted adventure and indoor play barn and is scheduled to open in March 2017. It will cater for children between 0 and 11 years old. "We chose the Wrapped team because they showed director-led capabilities and a real energy and commitment to the project from the start. Having PR, brand and digital people under one roof has meant our plans can be implemented much faster."